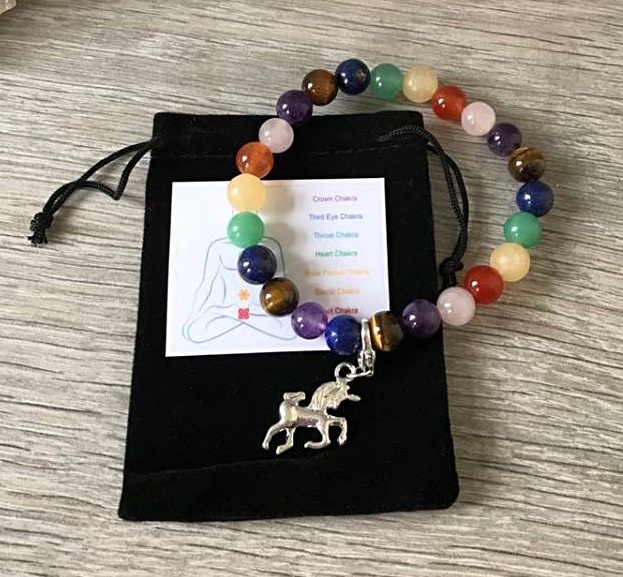 Hand-Made for Mysticwish, a beautiful selection of beads, Carnelian, Yellow Aventurine, Green Aventurine, Blue Lapis, Tigerseye, Amethyst and Rose quartz all beautiful quality. 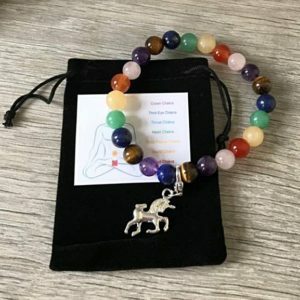 7 Colours idea for balancing chakras as well as looking beautiful. Finished with a little unicorn charm, which is on a clip, so you can wear with or without the charm! !